USA Today examines the recent Bike League report showing bike commuting is down in cities across the US, and the reasons behind it. Although the story also notes that ridership is up in some cities, particularly where they’ve invested in safe bike networks. 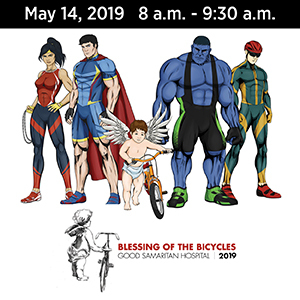 Around the country, city transportation officials wish there were more bicyclists like Dandino as they seek to cut traffic congestion, promote health and identify alternatives to cars. After rising for several years, the percentage of commuters turning to bikes declined for the third year straight, U.S. Census Bureau figures show. Nationally, the percentage of people who say they use a bike to get to work fell by 3.2 percent from 2016 to 2017, to an average of 836,569 commuters, according to the bureau’s latest American Community Survey, which regularly asks a group of Americans about their habits. That’s down from a high of 904,463 in 2014, when it peaked after four straight years of increases. Census Bureau figures are notoriously unreliable, however, since they only count people biking to work, and not commuting or riding for other purposes. And if someone uses a bicycle as part of a multimodal commute, it’s usually not categorized as a bike commute. Meanwhile, the news was mixed in Long Beach. Long Beach, California, saw a 23.1 percent increase in the number of bike commuters from 2016 to 2017, though it was down 19 percent from 2011 to 2017, the league’s report says. Over the past decade, Long Beach added bike lanes throughout the city and dedicated routes separated from traffic, including some that recently opened. Its bike-sharing program continues to grow, having 11,000 members. And as usual, the view from Los Angeles was far less rosy. In a push to make the city more bike-friendly, Los Angeles started installing miles of protected bike lanes and embracing “road diets,” or slowing streets to make them safer for bikers and pedestrians. In a city where the car is king, a backlash from motorists drastically cut back those efforts. 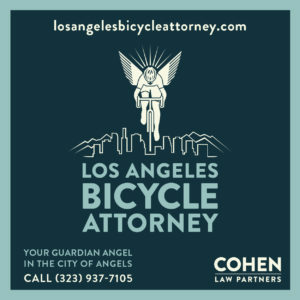 As a result, Bicycling magazine named Los Angeles the worst biking city in America in October. Something LA city leaders still haven’t addressed. Or even seem to care about. The story goes on to quote the author of a certain humble LA bike blog. “The City Council and the mayor’s office are only listening to angry drivers who don’t want their commute to be slowed down by anyone,” said Ted Rogers, a veteran bike rider who writes the BikingInLA blog. Just when you thought it couldn’t get any stranger. After spending nearly two years behind bars for the crime of taking the lane — or rather, violating a judge’s order to stop doing it — a Pennsylvania bike rider could be going back to jail for violating his probation. Authorities had accused David Smith of repeatedly riding in the traffic lane on narrow country roads, causing major traffic backups and — allegedly — posing a danger to motorists by not allowing them to pass. His defense had been that his bicycle is his only form of transportation, and that he was only riding where he was supposed to by taking the center of the lane. Evidently, though, the local authorities weren’t fans of vehicular cycling. Smith was sentenced in 2017 to up to two years in jail, but released on probation after having already served a total of 20 months because he refused to accept a mental health evaluation that could have led to his release. 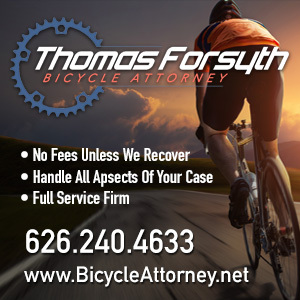 One condition of his probation was that he not ride a bicycle until his probationary period ended in 2020. A condition he allegedly broke by riding this past October. Still, there’s something very wrong when what a simple traffic violation — if that — can lead to serious jail time. Either something is a little fishy, or a Colorado bike shop owner may be the world’s unluckiest pedal peddler. Because he’s now lost half a million dollars worth of bicycles in two separate break-ins less than three years apart. The Boulder Daily Camera reports that thieves stole up to $300,000 worth of bikes, tools and other merchandise from the Boulder bike store in a carefully planned New Years Day break-in. That follows an unsolved 2016 break-in at the store’s Miami location, where thieves smashed their van into the storefront and made off with $200,000 worth of bikes. The perfect solution for those leisurely afternoon bike rides across the lake. Enough with the bleak news already. Curbed offers 19 things to look forward to in 2019, including a new bike/ped bridge over the LA River, ebike dockless bikeshare, and half-hearted improvements to six LA streets. Streetsblog’s Joe Linton says Westside traffic safety deniers cynically rushed to blame the Venice Blvd Great Streets project for the death of a pedestrian on Centinela Ave over the holidays, even though the crash occurred four full blocks away. And even though the tragedy makes a better argument for implementing similar safety improvements on Centinela. Bicycles have been banned from westbound 1st Street in DTLA through 2021 for work on Metro’s Regional Connector Transit Project; a detour is in place to get around the construction zone. A Playa del Rey scooter rider was collateral damage in a wild police chase through three counties Thursday afternoon; fortunately, the victim was not seriously injured. The new Spectrum news channel looks at the efforts of Watts-based East Side Riders to use bikes to keep kids on the right track. 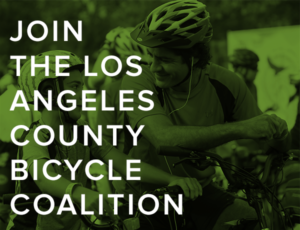 CicLAvia is hiring an Event Production Assistant and a Social Media Manager. If they ever need an anti-social media manager, I’m all in. Peer-to-peer bikeshare system Spinlister is back from the dead, thanks in part to Oprah’s favorite LA-based ebike maker. California announced the winners in the latest round of funding for active transportation projects, including several in SoCal and the LA area. Arraignment was postponed for the allegedly stoned driver who killed Costa Mesa fire captain Mike Kreza as he rode his bike in Mission Viejo last November. That’s nothing unusual; preliminary hearings and arraignments are often postponed several times before anything actually gets done. A Cardiff railroad crossing will be closed for three weeks to install new crossing guards and build new bike and pedestrian paths. No surprise here. San Diego’s docked bikeshare provider Discover Bikes says it’s being negatively impacted by dockless bikeshare. Which will inevitably be the case for most docked providers unless they make major changes. The family of fallen Riverside County mountain biker Andres Marin is suing over a delay in searching for him after he called home to say he had been injured, which may have contributed to his death. A Minnesota man visiting San Diego suffered nine broken ribs and a punctured lung when the crank snapped on his fixie as he stood on the pedals to beat a traffic light. San Jose Mayor Sam Liccardo was released from the hospital just one day after he slammed his bike into the side of an SUV whose driver cut him off, despite suffering a broken vertebrae and sternum. Apparently, when you’re the mayor, they actually ticket the guy behind the wheel for a change. A 14-year old Oakland boy was critically injured in a hit-and-run that’s equal parts horrifying and infuriating; the fleeing driver dragged him for three blocks after smashing into his bike before the poor kid was able to roll free. Thanks to Megan Lynch for the heads-up. Outside says stop tossing your damn banana peel on the trail. Now you can take Alexa everywhere you ride. Why you’d want to is another question. A Seattle man lost 50 pounds by taking up bicycling after his car died. Ride Uber’s electric JUMP bikes too far in Seattle, and it will cost you a cool $25. A Seattle bicyclist’s conscience gets the better of him, or possibly her, for yelling at an older couple to hurry up crossing the street. Trump’s tariffs are taking a toll on little kids in Denver, because a non-profit bike shop can’t afford parts to recycle bicycles as part of an earn-a-bike program. Clever piece from a Dallas man who rode 1,617 miles to work over the past two years; he started riding after leaving his car at the office Christmas party, then riding his bike back to get it the next day after he sobered up. A San Antonio TX bike rider was lucky to escape unharmed when he hid behind a bus after a man started shooting at him, apparently at random; the gunman was shot and killed by police. An Austin TX bike rider leads police to the body of a woman who had been murdered and dumped in the woods. Actor Justin Theroux is one of us, riding his Australian-made single speed around the streets of New York. Apparently, fellow actor Bruce Campbell is, too. Thanks again to Megan Lynch. The NYPD finally instructed its officers to ticket business owners who use banned ebikes, rather than the low-wage delivery workers who ride them. A 64-year old London woman uses her bicycle to get around after suffering a stroke. But bikes are only for the young and fit, right? A British health institute calls for improving public health by remaking the country’s streets to give bicyclists and pedestrians priority over motor vehicles. Life is cheap in the UK, where an unlicensed, road raging driver got just five months behind bars for using his van as a weapon to ram a rider off his bicycle. It’s questionable whether he would have gotten the same light sentence if he’d used a gun instead of a motor vehicle. Ireland’s attorney general has scuttled a proposal to establish a minimum safe passing distance in the country. Two Chinese boys were lucky to survive with minor injuries when they were run over by a large truck and dragged 30 feet in a crash caught on security cam. As usual, be sure you really want to see it before clicking the link; even though the boys weren’t seriously injured, the image is horrifying. Evidently, those step-through bikes are stronger than they look. After a Chinese salmon cyclist was hit head-on by a driver, the car suffered major damage to its bumper, while the bike and rider were relatively unscathed. About damn time. Bike racing’s governing body has finally banned the use of the opioid painkiller Tramadol during competition, even though the World Anti-Doping Agency is still allowing it. If you’re trying to lose weight, forget the bike ride and just take a bath. More proof you can steal anything by bike. And seriously, if you’re riding a bike with coke hidden under your hat, put a damn light on it (scroll down). The bike, not the hat.